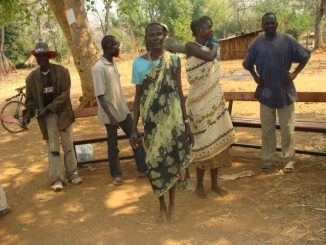 Ethiopia’s Land Grabs: Interviews with the displaced Ethiopia’s remote Gambela region and Lower Omo valley are being rapidly converted to commercial agricultural investment centres. To encourage widespread industrialized agriculture in these areas, the Ethiopian government is depriving small-scale farmers, pastoralists and indigenous people of arable farmland, access to water points, grazing land, fishing and hunting grounds. It has also has been moving people off the land into government villages to allow investors to take over the land. Wealthy nations and multinational corporations are taking over lands that are home to hundreds of thousands of ethnically, linguistically, geographically and culturally distinct pastoralists and indigenous communities….